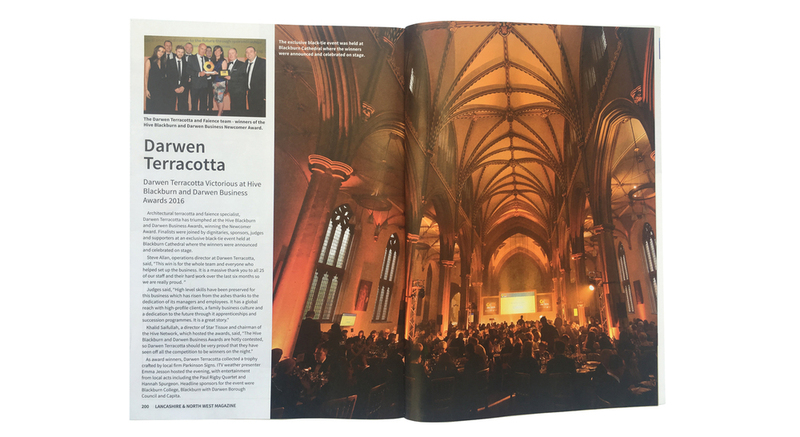 An article on our fantastic Hive Business Awards win is featured in the current issue of the wonderful Lancashire Magazine. Steve Allen - "This win is for the whole team and everyone who helped set up the business. It is a massive thank you to all 25 of our staff and their hard work over the last months so we are really proud." Judges - "High level skills have been preserved for the business which has risen from the ashes thanks to the dedication of its managers and employees. it has a global reach with high-profile clients, a family business culture and a dedication to the future through apprenticeships and succession programmes. It is a great story."